Frontier Park is a new mixed use development with planning consent for c.1m sq ft of industrial and warehouse accommodation. 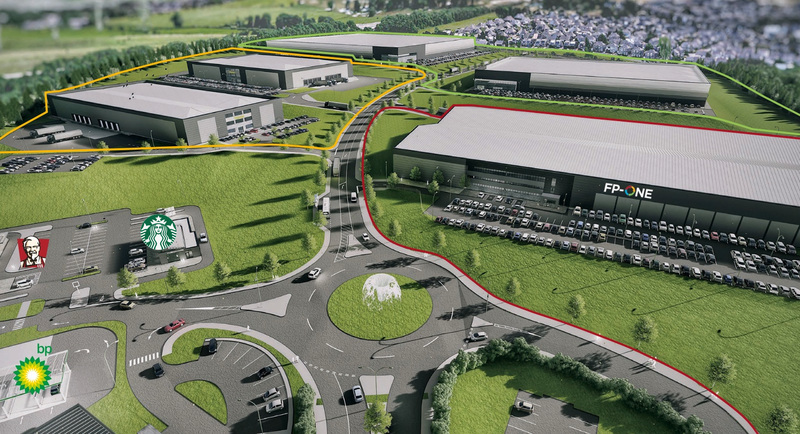 The 90 acre site has immediate access to Junction 6, M65. Frontier Park is located at the boundary of Hyndburn BC and Blackburn with Darwen BC with a combined economically active population of 107,000 and a further 155,000 in the East Lancashire region. Frontier Park is in a prime location within an easy commute of Preston, Leeds & Manchester. 4,000 people work in the logistics and distribution sector. warehouse operative is £17,000 per annum. Blackburn are qualified with NVQ 4 and above. 16,000 people work in the manufacturing sector. 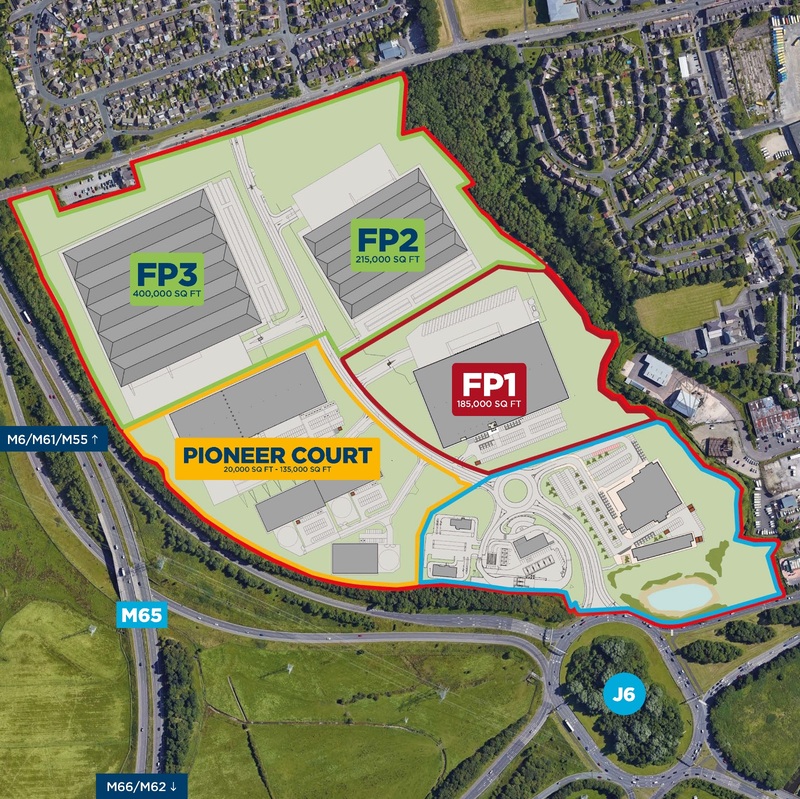 Frontier Park is located two miles east of Blackburn centre and immediately adjacent to Junction 6, M65, with direct access to Whitebirk Roundabout and Whitebirk Drive, the town’s premier employment area. The M65 is the primary economic corridor through East Lancashire linking Blackburn with the M6 and M61 at Bamber Bridge to the south of Preston some 11 miles distant and to Burnley, 10 miles to the east. 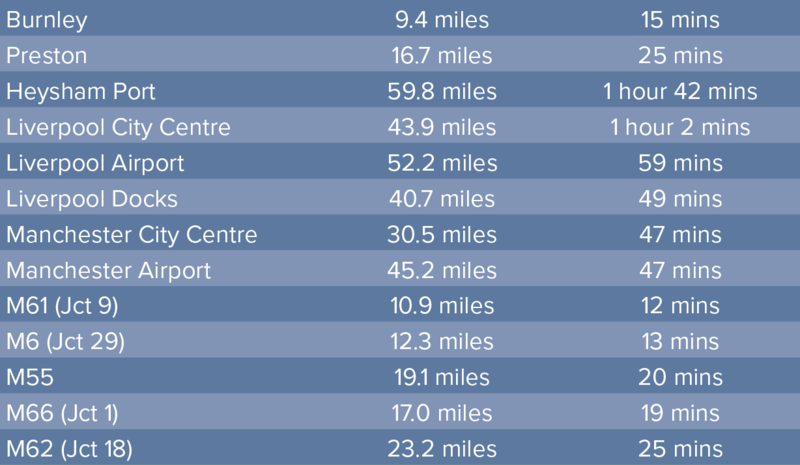 The M66 is approximately 11 miles away via the M65 and A56. This provides excellent access to M60/M62, and the Greater Manchester conurbation. GVA, B8RE & Trevor Dawson hereby gives notice that the information provided (either for itself, for any joint agents or for the vendors lessors of this property whose agent GVA, B8RE & Trevor Dawson is) in this brochure is provided on the following conditions: (1) The particulars are set out as a general outline only, for the guidance of intending purchasers and/or lessees and do not constitute an offer or contract, or part of an offer or contract. (2) All descriptions, dimensions and references to this property’s condition and any necessary permission for use and occupation, and any other relevant details, are given in good faith and are believed to be correct. However, any intending purchasers or tenants should not rely on them as statements or representations of fact but satisfy themselves of their correctness by inspection or otherwise. (3) No person in the employment of GVA, B8RE & Trevor Dawson, have any authority to make or give any representation or warranty whatsoever in relation to the property or properties in this brochure. (4) All prices quoted are exclusive of VAT. (5) GVA, B8RE & Trevor Dawson shall have no liability whatsoever in relation to any documents contained within the brochure or any elements of the brochure which were prepared solely by third parties, and not by GVA, B8RE or Trevor Dawson. Designed and produced by Creativeworld. July 2018.